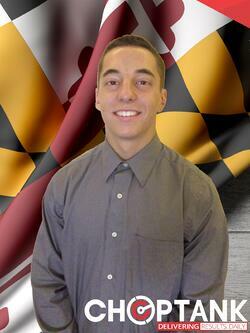 Choptank Transport, a third-party logistics company headquartered in Preston, Maryland, is proud to announce that Gregory Gelmann is the recipient of the University of Maryland’s Choptank Transport Business Scholarship award for 2018. The scholarship is available to any University of Maryland undergraduate student who attends the Robert H. Smith School of Business. The goal of the scholarship is to provide aid to business students interested in future employment opportunities, including, but not limited to, the field of transportation and third-party logistics. Outsourced logistics is a growing field that provides valuable solutions to both manufacturers and carriers.